Looking for a Thermometer for your Fish Tank ? 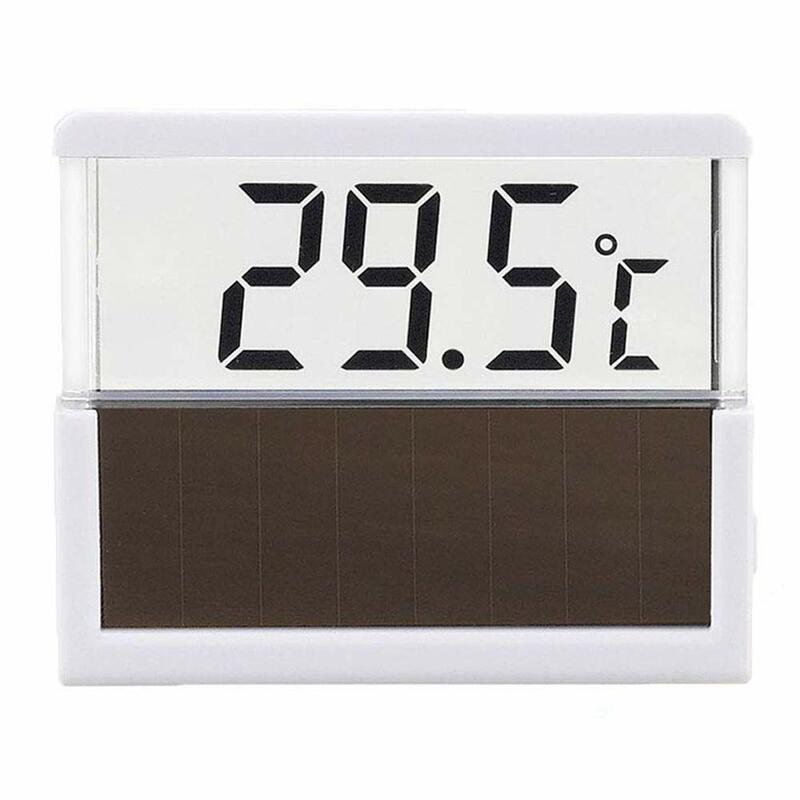 Our Digital Thermometer is a good choice for you! This Solar Aquarium Thermometer delivers precise temperature readings-straight on the your fish tank.It features an easy-to-read digital display with temperature in either Fahrenheit or Celsius. It is accurate aquarium thermometer, enough to create readings within 0.1 degree. With this mini aquarium thermometer sticker, your cute little companions will be comfortable in their corner aquarium,swiming around the aquarium driftwood and playing with his friends. 1.Open the package and take out the thermometer. 2.Tear off the sticker on the back and stick it to the place you want. 3.If you want to read the real-time Temperature, just shoot a beam of light to it, and hold the light for 5 seconds, the temperature will display on the Super Clear LCD Screen. solar panel needs light to operate, 200 lux is ok for our digital aquarium thermometer to display the temperature, normal family lighting or sun rays coming through the window is ok, It should face the light source, not back to, if it is too dark in your room, pls shot a beam of light on the solar panel for 5 seconds then you can read the temperature. Product Dimension: 2.5" x 2.1" x 0.5"
Package Dimension: 5.6" x 3.0" x 1.1"
After sales Service: Don't hesitate to contact us if you have any question when you use it, all the Cuboid products include a 24-month warranty,we are dedicated to ensuring your 100% satisfaction.